Summer has a B.A. in Public Relations with a Concentration in Business Management from the College of Journalism & Communications at the University of Florida. 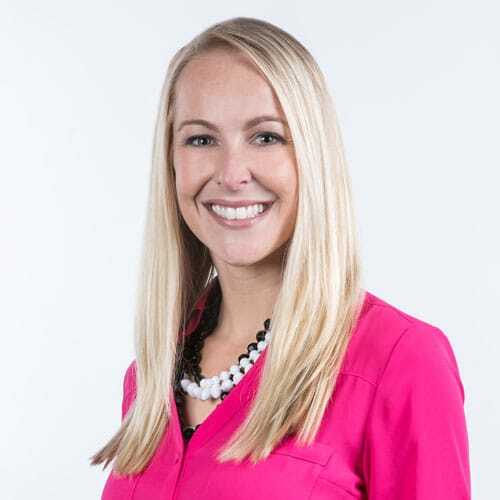 Before joining the NAVC in 2012, she worked for five years in full-service marketing agencies including Frankel Media Group in Gainesville, Florida, and The Zimmerman Agency in Tallahassee, Florida. Summer is an indispensable member of the NAVC marketing team, serving as project manager, email and web production manager, ad agency liaison and tactical advisor, ensuring that all our marketing communications projects are smoothly running through the pipeline to completion. This includes all promotional campaigns, advertising materials, program guides, signage, web pages, brand materials and much more for the NAVC Conference, NAVC Institute, NAVC Expeditions, NAVC VetFolio and ongoing community communications — literally thousands of materials each year. Summer is a Florida native, born in Central Florida. She and her husband Matt now live in the Jacksonville area with son Camden Michael, daughter Carlee Adelle and BoBo, their chocolate labrador retriever.